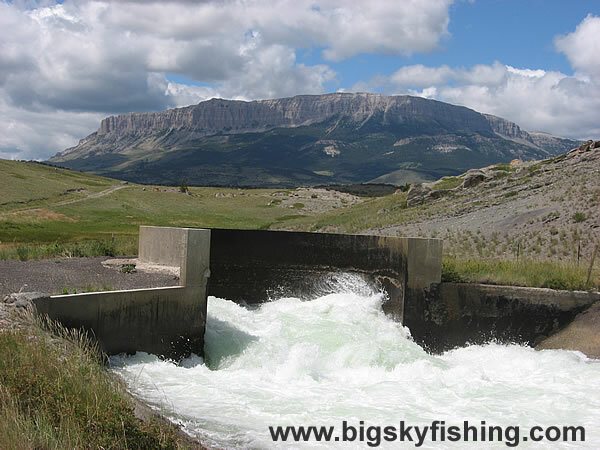 The Northern Rocky Mountain Front Backcountry Drive follows the Pishkun Canal for several miles. This is where the canal emerges from an underground tunnel. The whitewater/rapids are quite intense.